Nate is going to start writing a few posts a month, usually more technical ones. 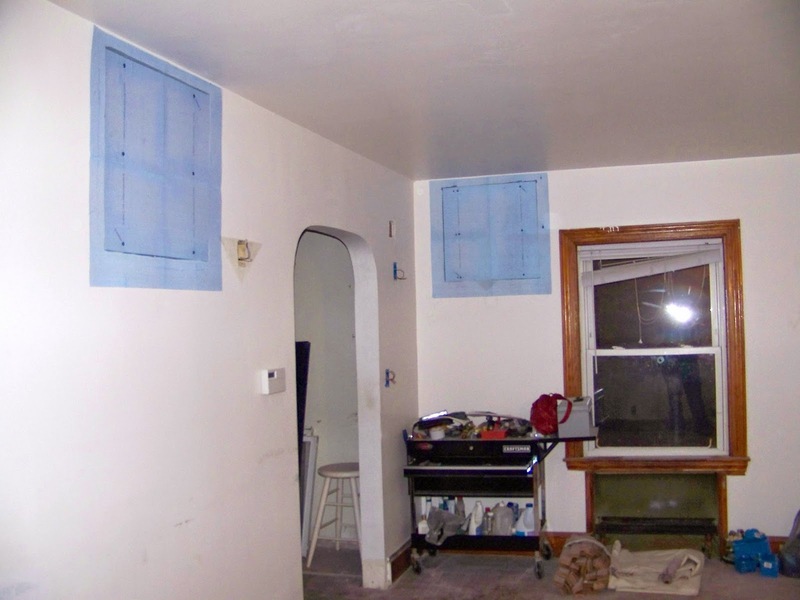 Here's his first on the invisible speakers that we installed in our old house! 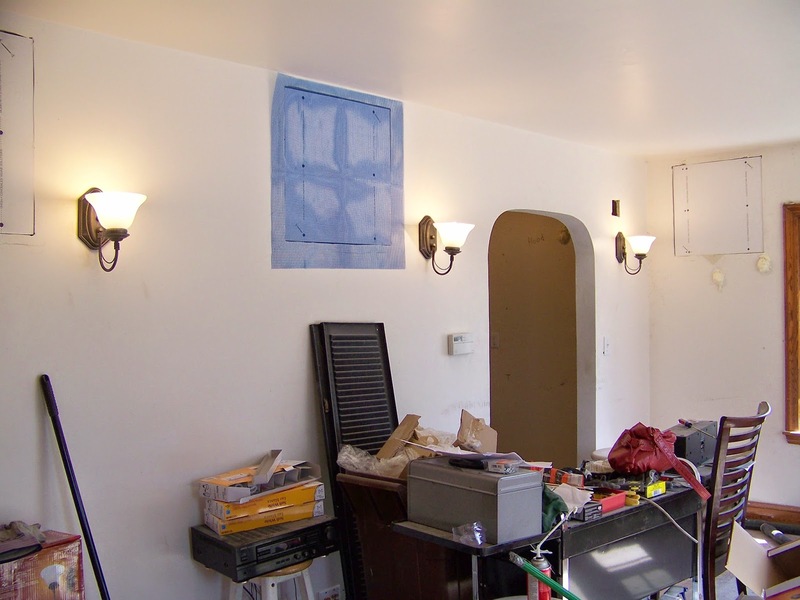 When remodeling our first house, I really wanted to take full advantage of the chaos of renovation to install an awesome sound system. 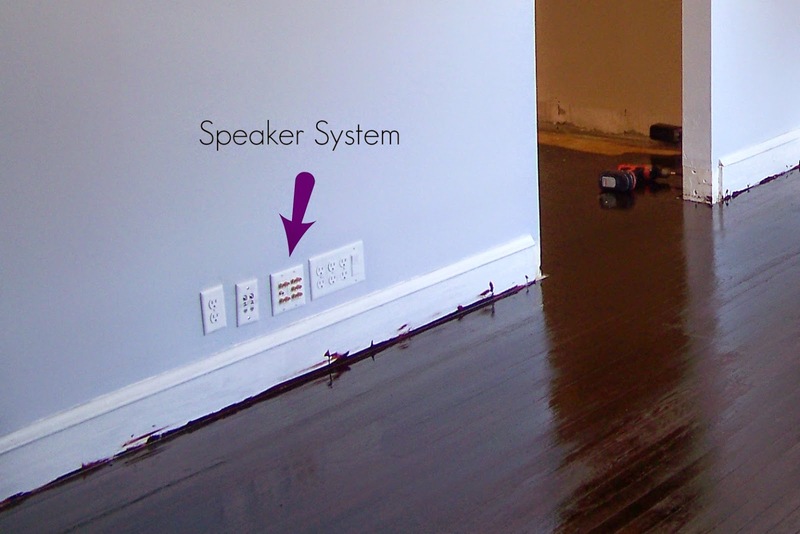 We have always liked the idea, but finding space for the speakers and running wires around the baseboard never made it worth it. Also, we didn't love the idea of seeing the speakers all over our walls. Then we stumbled upon these In-Wall speakers by Onsia. Instead of a traditional speaker cone, these speakers are designed to be located between studs (you can see the stud lines in the above picture) and attached with 6 screws. 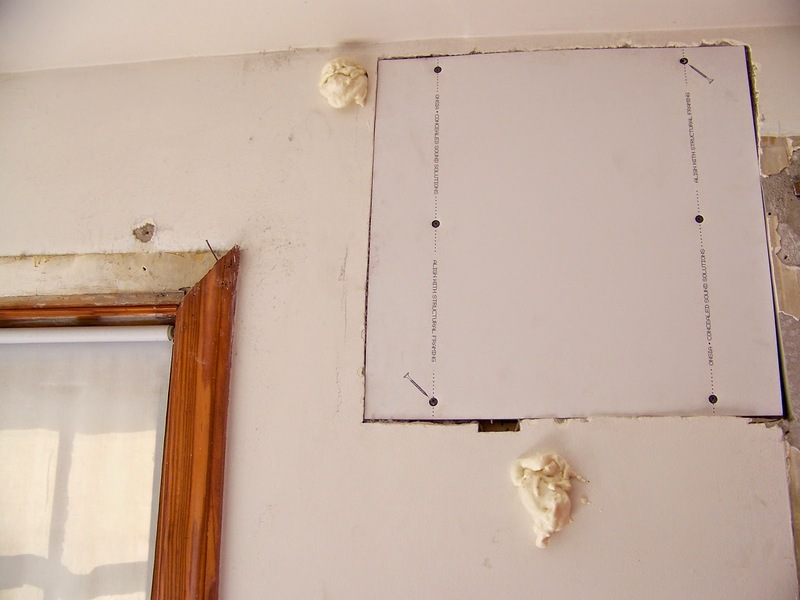 They come with a template to mark out the board on the wall and then you can just use a drywall saw to cut the square out of the drywall. There are some electronics in the center of the board which vibrate the surface of the speaker and the skim coat of joint compound that covers it. Speaker wire connects the boards to a set of audio jacks that we installed behind the TV. We were already fishing new electrical through these walls, so it wasn't hard to include some speaker wire. Here you can see three speakers across the front of the room (one is hiding to the left). And this is the audio jack hookup that the speakers connect to. 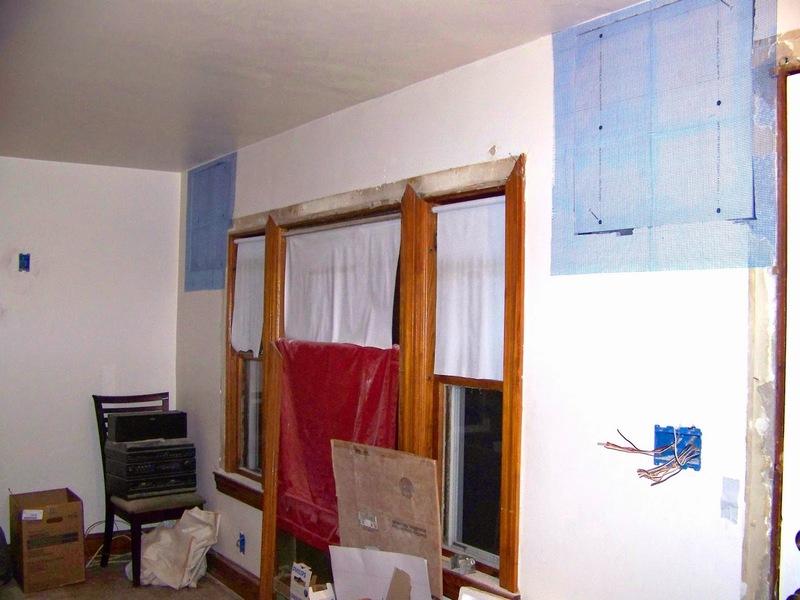 Once the speakers are wired up and installed, they are covered with a fiberglass mesh. 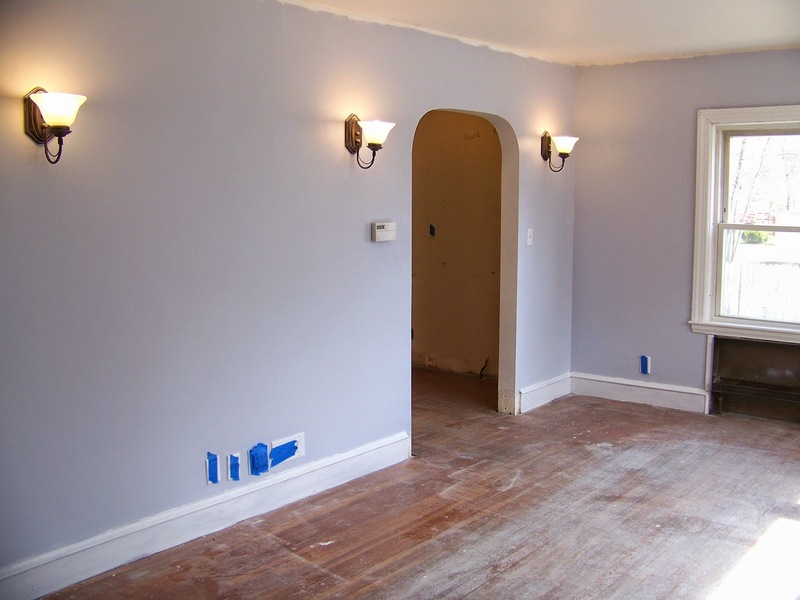 Then you're ready to skimcoat the walls. 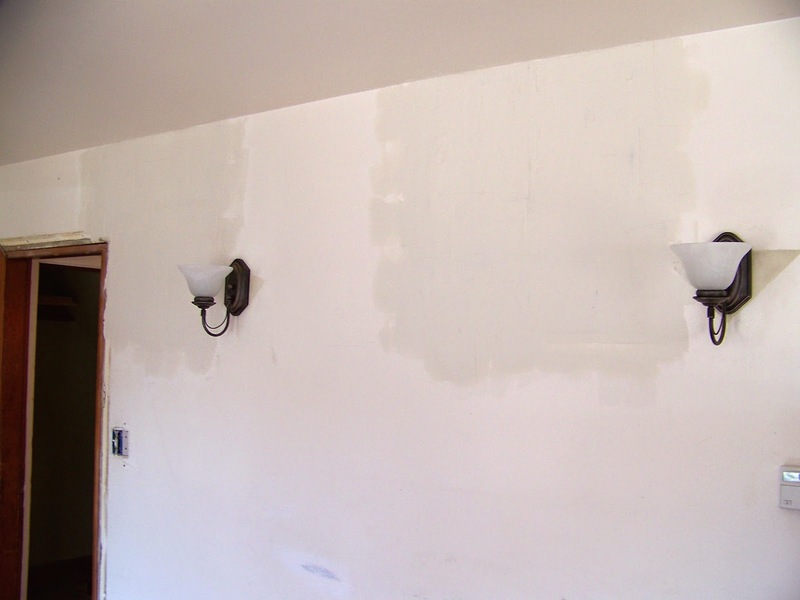 As the putty dries, you can see the speakers disappearing into the walls. Then with a coat of paint, they are gone completely. At the bottom of this last pic you can see the wall jacks for the room once again(covered for the paint job). They are the only component of the speakers visible. The directions clearly stated that it will take a while for the speakers to be broken in, and we were very happy with the sound quality even a few days after using them. It was most impressive for background music, since the resulting sound was very uniform in the room. The only thing we needed to do was make sure not to nail or screw through these spots in the wall. As a plus of doing this early in the renovations, it meant that I got to listen to some high quality radio while we finished up the rest of the renovations in the house! Note: At the time we were able to purchase a 5 pack of the speakers for $250, but they appear to be much harder to find now. Here is the (non-affiliate) link to Amazon where they are currently unavailable, and to the official Onsia website.